Boosting exercise, controlling blood pressure, and pursuing cognitive training are likely to lower the risk for cognitive decline and dementia in the long term, although the evidence is not conclusive. Doctors who want to provide some prevention suggestions to patients fearful of developing dementia can benefit from guidance in two recent reports, albeit none of it conclusive. The reports, one published by the National Academies of Sciences, Engineering and Medicine and the other by a Lancet commission, made it clear that no single step or combination will conclusively prevent dementia. But the authors also wrote that accumulating research evidence indicates that reducing cardiovascular and other risk factors starting in mid-life might provide some buffer. The evidence was insufficient to launch a “full-court press” in terms of a public health campaign, said Kenneth Langa, MD, PhD, an ACP Member and a member of the National Academies committee. But the data were encouraging, that committee found, in regard to three measures: boosting exercise, controlling blood pressure, and pursuing some form of cognitive training. “It seems pretty likely that doing those things will lower the risk for cognitive decline and dementia in the long term,” said Dr. Langa, a professor of internal medicine at the University of Michigan and the VA Ann Arbor Healthcare System. The report by the Lancet Commission on Dementia Prevention, Intervention, and Care, which also incorporated expert guidance and looked at a broader array of studies, settled on a longer list of modifiable risk factors beyond those three, including hearing loss, smoking, and social isolation. (The report also covered care of those with dementia, including nonpharmacological interventions.) The commission, which published its findings online July 20 in Lancet, projected that as many as one-third of dementia cases might be preventable, if people adopted all of the recommended measures over the course of their lifetimes. With drug development efforts so far failing to pan out, experts involved with both reports say that primary care doctors shouldn't shy away from discussing with patients how these sorts of measures might help postpone cognitive decline. Dementia is the result of an accumulation of environmental insults incurred over decades, layered on top of innate biologic vulnerabilities, said Eric Larson, MD, MACP, a member of both the Lancet and the National Academies committees. To some degree, people in developed countries like the United States have been living out their own dementia-related experiment, said several of the physicians interviewed, citing prevalence studies showing declining rates. One analysis published on Jan. 1 by JAMA Internal Medicine that Drs. Langa and Larson coauthored looked at dementia rates among U.S. adults ages 65 years and older and found that the prevalence had declined from 11.6% in 2000 to 8.8% in 2012. Another summary of dementia trends involving studies in the U.S. and in European countries, published on Dec. 12, 2013, by the New England Journal of Medicine, also tracked a consistent decline in dementia onset. 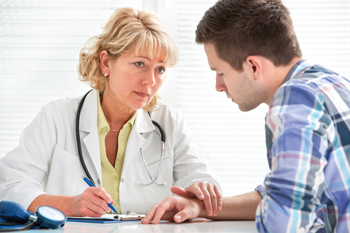 “What the heck is causing that?” asked Lon Schneider, MD, a member of the Lancet commission and professor of psychiatry, neurology, and gerontology at the Keck School of Medicine at the University of Southern California in Los Angeles. “It's not genetics—the genetics aren't changing that quickly. It's the environment, and what in the environment has changed over the last 40 to 50 years?” he said, ticking off potential contributors like better nutrition, more exercise, and less smoking. To date, the research evidence backing the three prevention suggestions in the National Academies' report appears strongest for exercise and blood pressure control, according to Dr. Langa, who described that as his personal take on the data. “Is it the specific cognitive activities and tasks that are important, or is it more the general process of interacting and staying connected with the world, and challenging your brain throughout life?” he said. Neither does all of the evidence point in the same direction. In its summary of research backing its recommendations, the Lancet commission acknowledged that no randomized studies show that exercise prevents cognitive decline. But the authors cited two meta-analyses that indicated a protective effect, including one published in 2011 by the Journal of Internal Medicine, which looked at cognitive decline in those without symptoms. That meta-analysis of 15 prospective studies showed that individuals who had engaged in mild to moderate exercise had a 35% lower chance of developing cognitive decline than those who didn't. But a longer-term prospective cohort study, also published around the same time as the two dementia reports, found no difference. The slightly more than 10,000 British civil servants, who were followed for as long as 28 years, didn't appear more or less vulnerable to dementia based on their prior exercise habits, according to the findings, published online on June 22 by the British Medical Journal. In the Lancet report, along with summarizing the various risk factors, the authors also calculated the population's potential reduction in dementia if a particular risk could be eliminated. The three factors projected to be most influential were education (8%), hearing loss (9%), and smoking (5%). 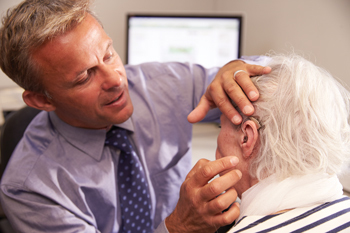 Precisely why hearing loss is associated with dementia is not yet clear, Dr. Larson said. It might be that difficulties with hearing encourage individuals to withdraw from social and cognitively stimulating activities, or it might be that there's something more fundamental going on with the pathology of the brain, he said. Dr. Larson, who recently wrote the book “Enlightened Aging” with coauthor Joan DeClaire, said that maintaining normal hearing might prove to be one of the elements that contribute to what he describes as brain resilience, along with education before the age of 15 and other factors. The authors of both reports cite the difficulties involved in showing cause and effect with dementia prevention, given the multiple risk factors involved over decades. Plus, there are other hurdles. It would be ethically infeasible to assign patients to hypertension control, for instance, versus no hypertension control for many years. As a result, the National Academies committee's research, which relied primarily on randomized studies, was limited in the data it could consider, Dr. Larson said. David Reuben, MD, FACP, expressed some discomfort at assigning risk reduction percentages, as the Lancet report does, given the heavy reliance on observational data. Just because those studies indicate that people who have hearing loss, for example, face a 9% higher risk of dementia doesn't mean that providing hearing aids has a corresponding amount of benefit, said Dr. Reuben, chief of the division of geriatrics at the University of California, Los Angeles. Some randomized studies are in the works. Dr. Reuben noted that SPRINT (the Systolic Blood Pressure Intervention Trial)—halted early after notable cardiovascular benefits were identified from aggressive blood pressure control—also continues to track dementia rates and other cognitive measurements. So does a frequently cited Finnish study, which uses a combination strategy including diet, exercise, and vascular management in an effort to stave off dementia. The findings from the Finnish study, dubbed FINGER for Finnish Geriatric Intervention Study to Prevent Cognitive Impairment and Disability, found only a limited effect after two years, according to findings published on March 12, 2015, by Lancet. But there are some study weaknesses, given that prevention should start in mid-life or possibly even earlier, since it enrolled adults ages 60 to 77 years, Dr. Schneider said. That mantra, he hopes, will help them focus on activities and interests that keep them more mobile and socially connected, as well as challenge their brains. It's also helpful to clarify with patients what it means to stretch cognitively, said Victoria Braund, MD, FACP, a geriatrician who directs the division of geriatrics at NorthShore University HealthSystem, headquartered in Evanston, Ill.
“The best advice I give my patients is to really exercise your brain. You need to do something that is new to your brain, something novel. It has to be a little bit of a stretch,” she said. If patients already know two languages, for example, suggest that they start studying a third, or if they already play the piano, perhaps they should pick up the cello. Dr. Braund also advises patients to join groups that align with their passions, whether it's a book club or a current events group, so they actually follow through. “Human beings being human, we tend not to challenge ourselves when we're by ourselves,” she said. Still, it's discouraging that there isn't more definitive guidance to offer, Dr. Braund said. “Dementia prevention is not at all where cancer prevention is or cardiac care is,” she said. It's important, moreover, not to inadvertently offer false hope, she added, describing one couple she recently met at a senior center. The wife had Alzheimer's, and the husband recounted how they had followed all of the healthy guidance through the years. “It was so sad, because he felt guilty, like maybe they hadn't done enough,” Dr. Braund said. But just because the prevention picture is still a bit murky doesn't mean it should be erased from broader health discussions in the physician's office, Dr. Langa said. Starting in mid-life, he said, physicians can talk about brain health more broadly without even referencing Alzheimer's disease specifically. “In my interactions with patients, I do say that there are lots of benefits to controlling your blood pressure, to increasing your physical activity,” said Dr. Langa, who ticks off potentially increased energy, a better mood, perhaps less medication for chronic conditions. Charlotte Huff is a freelance writer in Fort Worth, Texas. Larson EB, Wang L, Bowen JD, McCormick WC, Teri L, Crane P, et al. Exercise is associated with reduced risk for incident dementia among persons 65 years of age and older. Ann Intern Med. 2006;144:73-81. National Academies of Sciences, Engineering, and Medicine. Preventing Cognitive Decline and Dementia: A Way Forward. Washington, D.C.: The National Academies Press; 2017. doi.org/10.17226/24782.